Several possible projects and events for the Grand Traverse County Civic Center topped the agenda Thursday for County Parks and Recreation commissioners, who also discussed a major proposed community project at Maple Bay Natural Area and approved another season of bow hunting on Power Island. 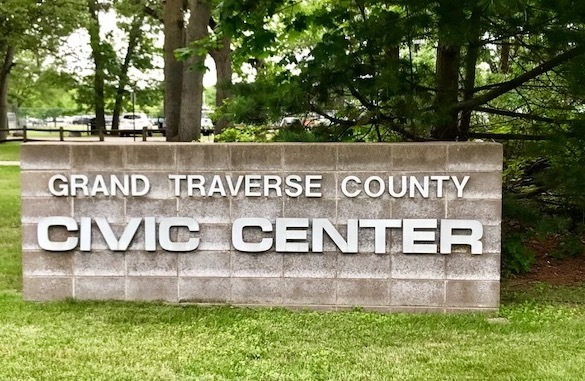 Community demand for a wide variety of uses and events continues at the Grand Traverse County Civic Center, prompting commissioners to discuss safety concerns at the park. Commissioners Thursday gave the green light to a planned “Street Art in the Skate Park” event proposed for Saturday, September 29. The event will feature live music and experienced street artists invited to paint sections of the skate park. Profane graffiti at the park prompted the county to invite artists in 2013 to tag the concrete terrain; this month’s event will update the artwork. Parks and Recreation Office Manager Ryan Walsh told commissioners the artists use “a certain type of spray paint that is recommended for cement” and does not affect the texture of the skating surface. After agreeing conceptually earlier this summer to a new partnership with Traverse City-based professional theater company Parallel 45 to bring an outdoor summer play repertory to the Civic Center amphitheater in 2019, the board approved an official three-year contract with the group Thursday. 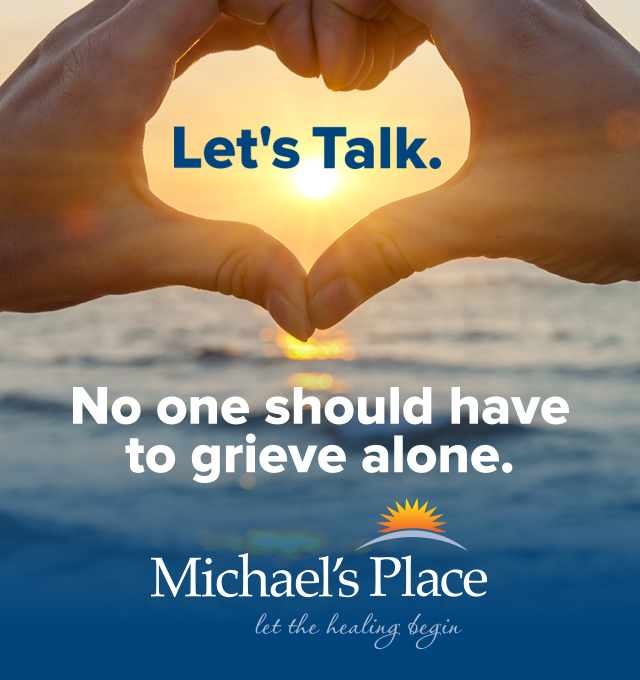 Parallel 45 will pay $500 to rent the amphitheater for the summer, as well as allow the county to rent out the theater venue – which will be outfitted with professional seating, lights, and sound – to other community groups when not in use by Parallel 45. The contract allows for potential renewal of the lease for at least two more three-year terms beyond 2021, provided the partnership is successful. Commissioners acknowledged that the Civic Center’s popularity and increasing interest in bringing a variety of projects to the park occasionally causes competition for park space, as well as requests for uses the county doesn’t have room or resources to accommodate. A recent resident request to provide a winter ice skating rink at the park, for example, was described by commissioners as a good idea for the Civic Center – but one the county doesn’t currently have staff or funding to implement. “It’s all about ice quality,” said Parks and Recreation commissioner David Grams, noting the City of Traverse City already maintains public ice rinks at Traverse Heights and on Fourteenth Street. “It’s not an easy task (to maintain an ice rink).” Commissioner Pete Albers agreed: “We don’t have the ability or staff to do these things.” Chair John Roth said county staff and commissioners worked hard to provide as many options as possible at the Civic Center, though not every request for park amenities could be accommodated. “There’s a lot of stuff that’s going to go on at the Civic Center, and not everybody’s going to be 100 percent happy the way it’s at,” he said. The increasing amount of activity at the park – and the recent opening of youth cycling nonprofit Norte’s new clubhouse right next to Front Street on the north side of the Civic Center – prompted commissioners to revisit a previous decision to remove the fencing around the park. The fence removal project, which had been targeted for either this fall or next spring, was meant to make the Civic Center more inviting and easily accessible to visitors. But several commissioners expressed concerns it could pose dangers to park users. Other commissioners shared concerns young cyclists at Norte could accidentally ride into the five lanes of traffic whizzing by on Front Street and suggested installing fencing around the clubhouse in places where it currently doesn’t exist. Fencing also helps keep dogs that get off their leashes in the park from running into the road, commissioners said. The board discussed removing some sections of fencing along Fair Street – following a pattern that would alternate three or four panels of fencing with one removed for pedestrian access – to open up the park while still providing a barrier between vehicles and park users. “I really don’t like fences, but I think in this situation it’s appropriate,” said Commissioner Steve Largent. The fence project will be delayed until at least spring, when commissioners plan to revisit the removal plans before the project proceeds. A county resident would like to bring an Agricultural History Project to Maple Bay Natural Area – but could face several obstacles with state restrictions on the land. Bob Carr presented commissioners with an informal proposal to use the historic farm home and barn on the property on North US-31 to launch educational programming that would include history and agricultural displays, equipment demonstrations, and farm expos for area schools. Carr said other states had official Agricultural History Projects, but that there were none yet in Michigan, and that the “tourism up here” would help generate a sustainable revenue stream for the project and promote the region's agricultural industry. Commissioners expressed interest in the idea, but pointed out numerous details would need to be worked out before the project's feasibility could be established. Maple Bay was purchased with significant funding from the Michigan Department of Natural Resources, which stipulated that the barn and house needed to be demolished as part of its grant approval. Parks and Recreation Director Kristine Erickson said the county hoped to revisit that condition with the DNR, as many in the community hope to save the buildings, but that the state would have final say on that request. The property has also been proposed as a possible trailhead for the Traverse City to Charlevoix bike trail. With commission support, Erickson agreed to clarify the park restrictions with the DNR further and continue discussions with Carr about the Agricultural History Project over the next few months. Finally, commissioners agreed Thursday to hold another public bow hunting season on Power Island this fall. While firearm hunting is prohibited, bow hunters will be able to harvest deer between October 20 and November 14 and again between December 1 and January 1. Hunters do not need a county permit, but state deer licenses are required. Hunters are encouraged to hunt antlerless deer on the island.